Many communities today have some type of management in place to control many various aspects of their neighborhood. An HOA (homeowners association) is probably the most common with deed restricted communities closely behind. Condos and Townhomes follow similar guidelines that an HOA does and are all part of living in a covenanted community. There are many great benefits to having an HOA present in your community. 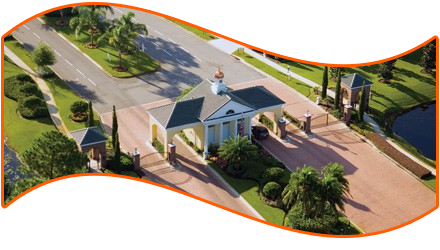 Security and Code Enforcement regulations are by far the most popular reason for living in a neighborhood with an hoa or a gated community. HOA Security Cameras will provide a complete surveillance blanket from any point to point. Criminal activity has been on a steady rise for decades but the most frightening characteristic of this trend is the sharp uptick in violent crimes in neighborhoods. Retail establishments and businesses that deal with cash in the commercial sector have always found themselves as being prime targets for criminals. Homeowners and personal residences have become easier prey mainly due to their lack of security. Automatic Gate Locks and Security Guards are a great measure for deterring crime. HOA Security Cameras and Neighborhood Watch Cameras have proven to be one of the most effective tools at monitoring and keeping crime in check. What price tag would you put on protecting your monetary assets? What about protecting your loved ones and family members…. Priceless. HOA Security Cameras and Neighborhood Video Surveillance Systems are easily one of the most effective and affordable security solutions. HOA Security Cameras can be triggered to alert a designated person whether a Security Guard or HOA president. Motion activated alerts have proven to be one of the most reliable ways to identify suspicious activity. Motion activated alerts at an unmanned security guard house, pool house, or community center – common areas that are prone to trespassing, vandalism, and theft can be safely guarded around the clock. If you have any questions about neighborhood video surveillance with neighborhood security camera systems and need installation service give us a call. Tech Pro Security Products products manufacturers and distributes their products worldwide. We have free live remote viewing apps for all of our security cameras. View your security cameras from anywhere in the world with Android or Apple smart devices. Our technical support is unparalleled and our US based security surveillance experts will gladly assist you with technical support for our products. Monday to Friday 9am to 8pm EST (Eastern Standard Time) we have support and sales staff ready to help you with questions you have about HOA Security Cameras or any other surveillance products. Remember when you purchase TechPro Security Products equipment you get FREE lifetime technical support for the life of that product. The majorities of our warranties last upto 3 years so you won’t have to worry about inferior security surveillance products. Our stronger and longer warranties coupled with our US based technical support mean you will be completely covered. Our security experts will consult with you to design the perfect neighborhood security camera system giving your HOA complete neighborhood surveillance. Our security surveillance planning and layout assistance will cover everything from: network infrastructure, correctly positioning security cameras, power supplies, cabling, security recorders, video storage, installation service. 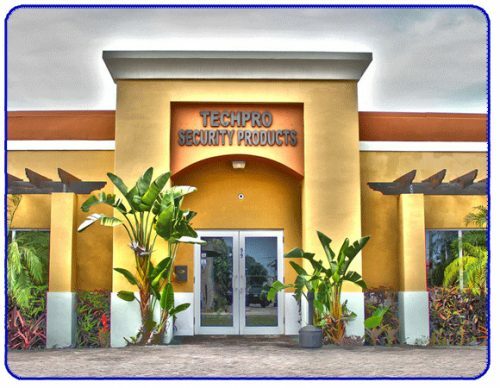 Why choose TechPro Security Products for your HOA Security Cameras? We are the manufacturer of our security surveillance products. Free US-based Technical Support for the life of your security surveillance products. Our capability to login remotely and fix any technical issues. Our security surveillance experts are always standing by Monday thru Friday 9am to 8pm EST. Free remote viewing Apps for Apple and Android Smart Devices. Big box stores don’t manufacture and support their own surveillance products. 30 day full refund if you are not satisfied (not mounted or damaged). Commercial Security Camera Systems built to withstand the rigors of everyday wear and tear..
East and West Coast Facilities allow for immediate delivery and support. Live US-based Chat for Sales or Tech Support. Online Ordering / Quotes 24/7.